Welcome to the 358th Virtual Poetry Circle! Summer road the ring around the lake, we drove mostly in silence. Why aren’t I your wife? You swerved around a turtle sunning itself. I wanted to go back. To hold the hot disc of it and place it in the grass. One twentieth of a mile an hour, I said. Claws in tar. You turned the car around. crushed roman dome, the surprise of red blood. I couldn’t help crying, couldn’t keep anything from harm. I’m sorry, you said, and let it hurt. The relief, always, of you in the seat beside me, you’ll never know. Driving that road next winter, you remembered that place in the road. Your turtle. During hibernation, a turtle’s heart beats once for every ten minutes. It cannot voluntarily open its eyes. Welcome to the 357th Virtual Poetry Circle! In honor of Mother’s Day, we have a mom related poem and song! Happy Mother’s Day to all the mothers out there. Welcome to the 356th Virtual Poetry Circle! 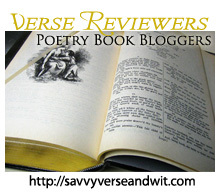 Welcome to the 350th Virtual Poetry Circle! Welcome to the 349th Virtual Poetry Circle! Welcome to the 348th Virtual Poetry Circle! Welcome to the 347th Virtual Poetry Circle! This is a fun poem for my daughter’s upcoming birthday. Her party is today, so I wanted to have a little fun this poetry circle.